Current Focus: At the Chamber, Courtney is the lead designer and manager of all digital aspects of the Chamber. Courtney manages the Chamber’s digital presence across multiple platforms. She uses her videography and photography skills to share the Chamber’s message through visual storytelling. 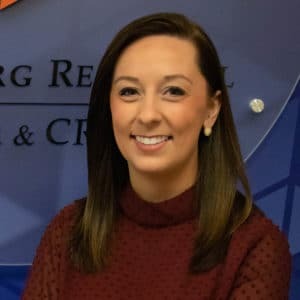 Professional Background: Courtney Highfield comes to her Digital Experience Director role with six years of experience as a Reporter and Multimedia Journalist for various news stations in Georgia, Maine, and most recently at CBS 21 here in Harrisburg. She has a passion for connecting with people, telling their stories, and working to make a difference in her community. Education: Courtney completed her B.A. at the University of Alabama majoring in Telecommunications & Film and minoring in both Communication Studies and Psychology.